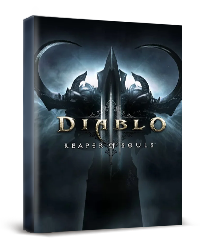 Diablo III: Reaper of Souls is the first expansion pack for the action role-playing video game Diablo III. This is CD Key for you to open a new account. Great prices, Rocket-Fast shipping World of Warcraft EU cdkeys and time card are on sale now. For anyone who would like to buy World of Warcraft EU cdkeys and time card, www.ssegames.com provides speedy E-mail delivery and professional service. Till now, we have successfully finished tons of orders and satisfied thousands of customers on selling cheap World of Warcraft EU cdkeys and time card. Our customers are 100% satisfied with our service which is 100% safe and secure. Do you need World of Warcraft EU cdkeys? If yes, please browse on our website and choose what you want to buy.